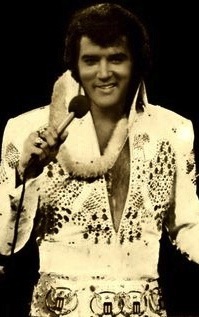 To see how this Elvis fable got started, let’s first go back to 1973. 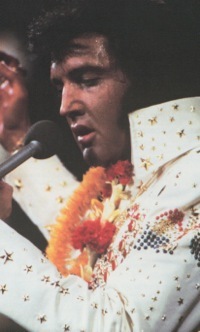 Shortly after midnight on Sunday, January 14, 1973, Elvis took the stage in Honolulu. His performance was broadcast live by satellite to countries in the Far East and Oceania. Later that day a delayed broadcast of the show was beamed via satellite across Europe. 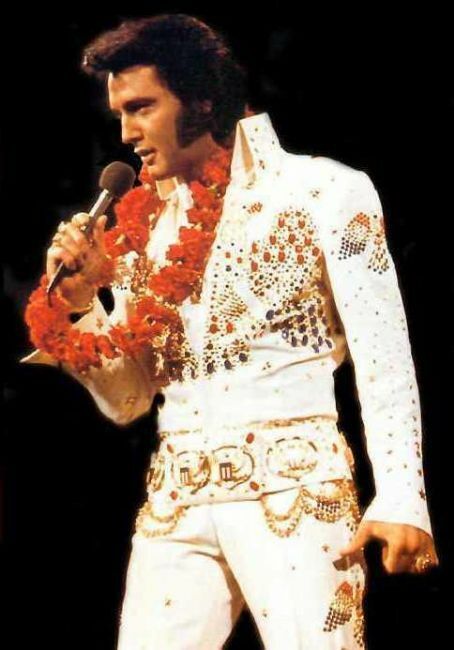 Almost three months later, on April 4, 1973, an expanded version of Elvis: Aloha From Hawaii was broadcast in the U.S. on NBC-TV. 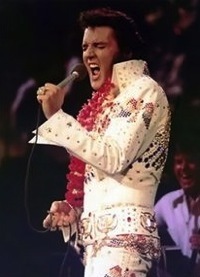 Reviews of the show were mostly positive, and the concert soundtrack became Elvis’s first #1 LP in eight years. 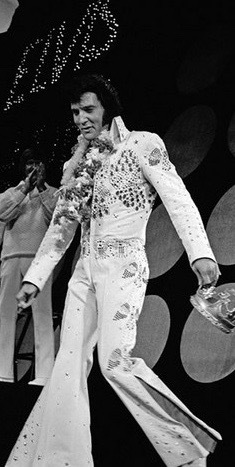 To track the source of the show’s over-hyping, however, we must go back four months before Elvis’s performance in Hawaii. 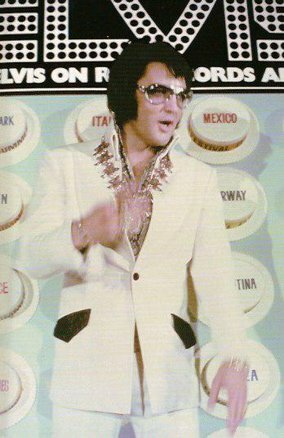 On September 4, 1972, Colonel Parker called a press conference in Las Vegas to announce Presley’s upcoming satellite special. Elvis was in attendance, as was Rocco Laginestra, president of RCA, which would produce the show using its communications satellite. In an announcement released prior to the news conference, Parker outlined several what he called historic “firsts” for the broadcast: (1) first entertainment special to be broadcast worldwide via satellite, (2) largest audience to ever see a television show, “in excess of one billion people,” (3) “the first time in the history of the record industry” that an LP would be released worldwide simultaneously. Parker’s final “historic” claim is legitimate, I suppose, but there seems nothing significant about it. RCA could have used its foreign licensing system to do the same thing years earlier. It didn’t because there was no apparent commercial advantage in issuing an album on the same day around the globe. Whether releasing the Aloha From Hawaii LP everywhere simultaneously was a good marketing move or just publicity hype is a debatable question, but one of little import. 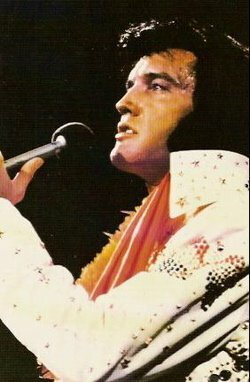 The other two supposed “firsts” for Elvis’s Hawaii show, however, were clearly misleading and phony claims churned out by the “Colonel Parker Propaganda Machine.” It’s surprising that the reporters at the 1972 press conference didn’t see through the sham immediately, and it’s absolutely amazing that Parker’s bogus claims have been reported as fact over and over again ever since. Various reports indicate Aloha From Hawaii was eventually broadcast in Japan, South Korea, Hong Kong, the Philippines, South Vietnam, Thailand, Australia, New Zealand, Canada, Mexico, and the United States, and 28 countries in Europe. That’s 38 nations plus the British protectorate of Hong Kong. The special was not broadcast in any country in Africa, South America, the Middle East, or South Asia. In fact, among the world’s five most populated countries in 1973, only the U.S. saw Aloha From Hawaii. So at long last, can we please dispense with the assertion that it was a “worldwide” broadcast? First of all, the world’s total population in 1973 was 3.973 billion. Does it sound reasonable that fully one-third of the planet’s people were glued to the tube when Elvis’s special aired in 1973? Hardly. Consider how many Americans tuned in to Aloha From Hawaii when it was broadcast in the U.S. on April 4, 1973. 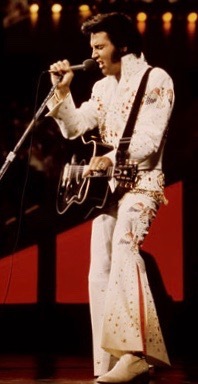 Overnight Nielsen ratings indicated that 33.8 percent of all American televisions were tuned to Elvis’s concert. But that also indicates that two-thirds of U.S. televisions were either turned off or tuned to other programs in that time slot. 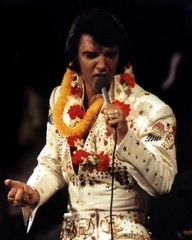 Now, if every family member in those 33.8 percent of households was sitting around the TV watching Elvis that evening, then the most that could be claimed is that about one-third of Americans watched Aloha From Hawaii. If barely a third of the U.S. population tuned in, does it seem reasonable that an equal amount would have done so in places like South Vietnam, where TV broadcasting only began in 1965? 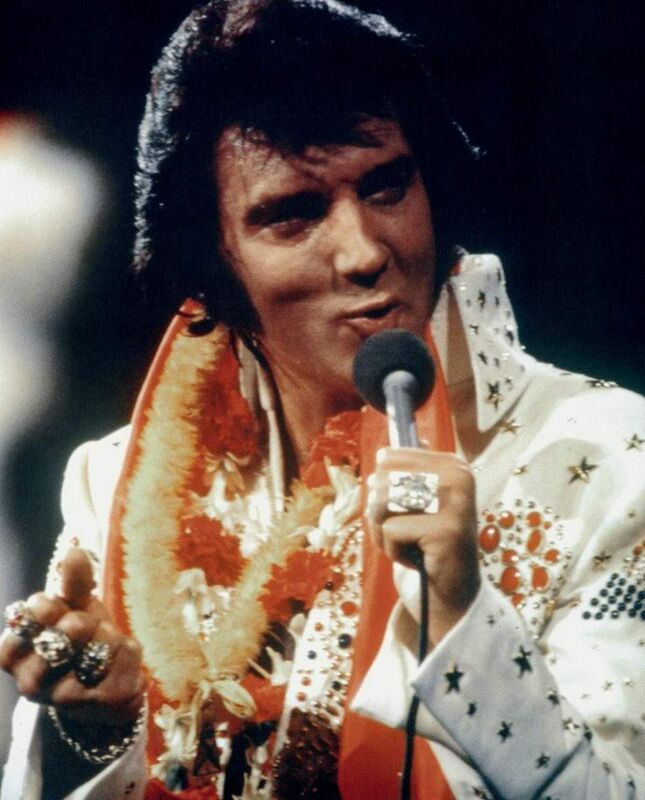 So how was the exaggerated number of 1.3 billion viewers of the Elvis special reached? If you add together the 1973 populations of the 38 countries which may actually have broadcast the Aloha show, the total comes to—you guessed it—about 1.3 billion. 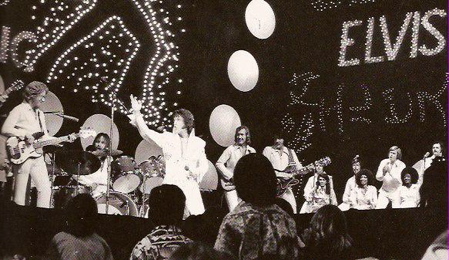 In what was perhaps the greatest snow job of his career, Colonel Parker convinced four decades of Elvis experts and fans that every single living person in 38 countries tuned in to Elvis: Aloha From Hawaii in 1973. 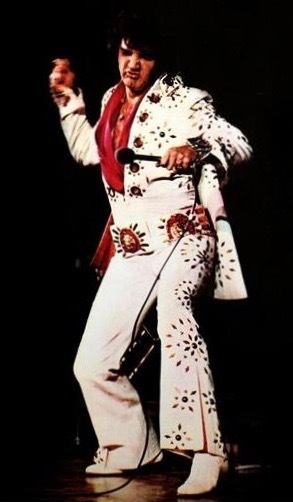 Just in the U.S. alone, the Nielsen ratings make it clear that, at the very least, 140 million Americans were doing something other than watching Elvis that April evening. 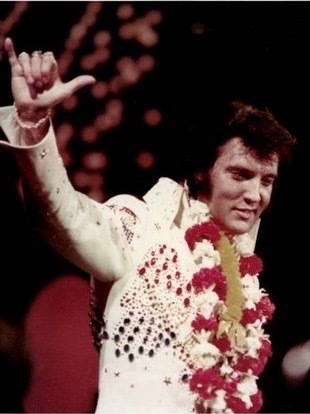 Read "Aloha From Hawaii Via Satellite: Fact & Fancy"
"In what was perhaps the greatest snow job of his career, Colonel Parker convinced four decades of Elvis experts and fans that every single living person in 38 countries tuned in to Elvis: Aloha From Hawaii."